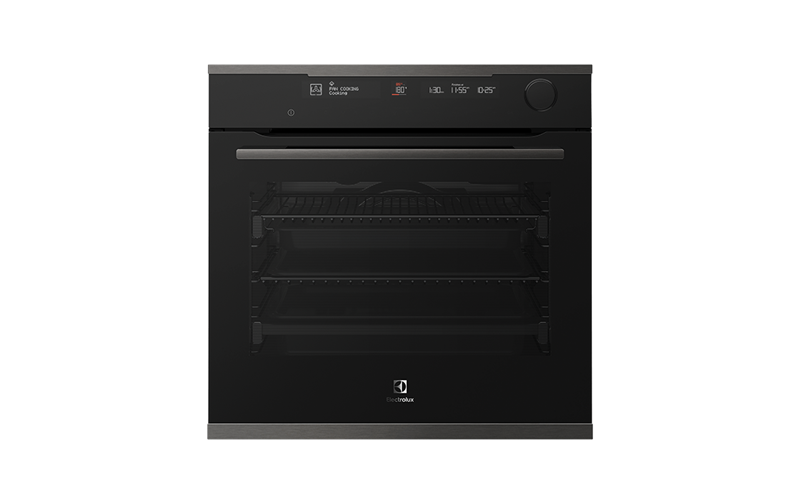 60cm Dark stainless steel 16 multifunction steam oven with pyrolytic cleaning, Intuitive Oven Interface and Smart Food Probe. Our advanced steam functions ensure you cook with just the right balance of steam and heat. 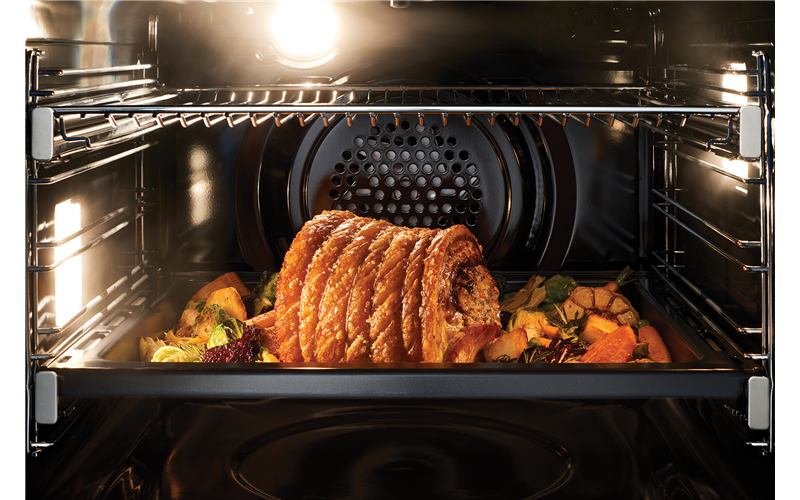 The added moisture conducts heat faster so you will discover colours are richer, skins are crispier and textures are more tender and juicy. Cooking should be fun, not complicated. 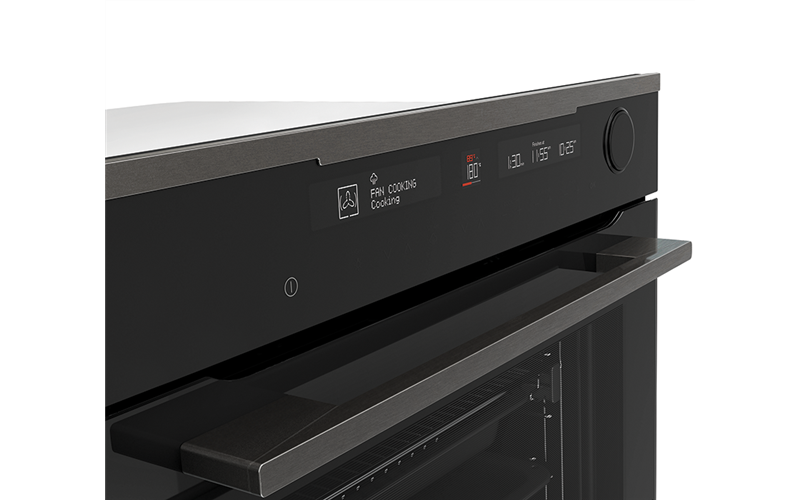 Our Intuitive Oven Interface (IOI) gives you a simpler and more enjoyable way to cook. You wont even need a manual. The Smart Food Probe ensures your dishes are delicious every time. 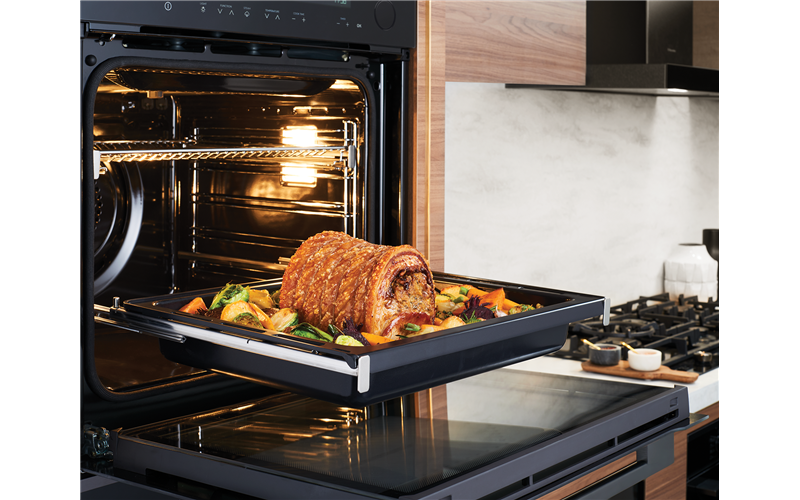 The food probe alerts you when food reaches the desired core temperature and switches the oven off so you get the perfect result. Love your cooking. We'll clean up. Now you can unleash your creative skills in the kitchen, without worrying about the mess. 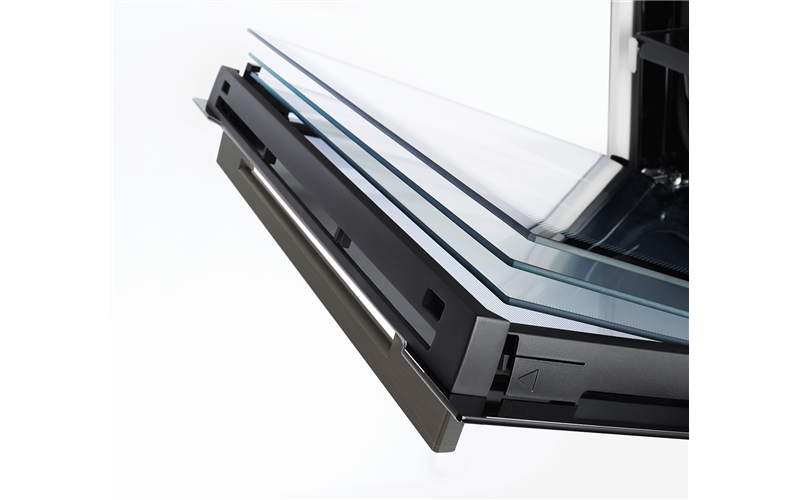 Just set the pyrolytic function, come back when its finished and wipe away the residue, without hard scrubbing or exposure to harsh chemicals. 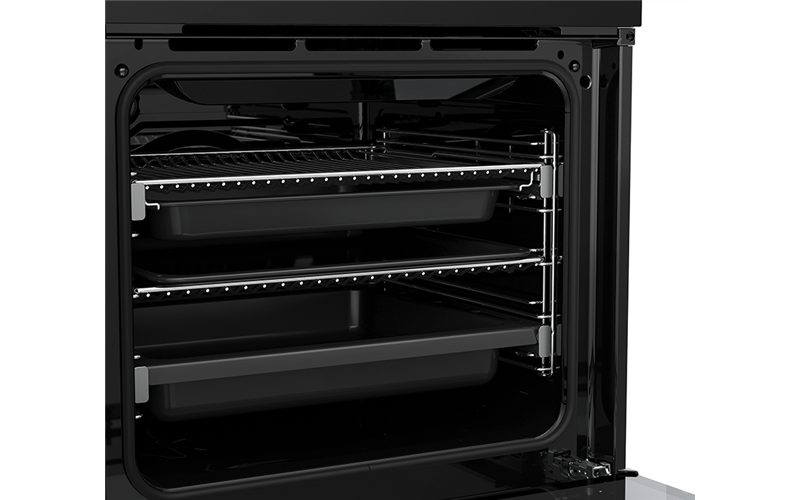 Our fully extendable telescopic runners give you safe, effortless access to all areas of your oven. This makes it simple to turn, baste and check on your food for delicious results every time.